The Johnson Shoyama Graduate School of Public Policy (JSGS) is pleased to announce the appointment of Neal Kewistep as an Executive-in-Residence, effective June 1 for a one-year term. A JSGS alumnus and former Interim Director of the Population Public Health (PPH) in the Saskatchewan Health Authority (SHA), Mr. Kewistep has spent most of his career fostering relationships with government, community-based organizations, Indigenous organizations and educators. As an Executive-in-Residence, he will be providing added capacity to the school in terms of Indigenous research, facilitating in the Indigenous Leadership Program, and teaching, and will be collaborating on curriculum development for a new Indigenous Governance graduate certificate. Mr. Kewistep will be located at the school’s University of Saskatchewan campus. As the SHA-PPH Interim Director, Mr. Kewistep was responsible for 13 departments ranging from Sexual/Street Health, to Healthy Families, to Immunization, and to Inner-city Health Services. His leadership led to increasing the infant and childhood immunization rates to close the gap between the most affluent neighbourhoods and the inner city neighbourhoods, and to addressing safe housing issues in a new way within the scope of the Public Health Act. During the amalgamation of the health regions, Mr. Kewistep led the transition of the PPH portfolio from the Saskatoon Health Region to the provincial health authority. He was also the strategic lead for cultural competency and Truth and Reconciliation Commission activities for PPH, which was a role he was proud to take on. In addition to his time with the provincial health authority, Mr. Kewistep has served as the Director of Operations for the Native Counselling Services of Alberta, as a Community Development Advisor with Yellow Quill First Nation, and has provided consulting services to the Saskatoon Tribal Council and the Greater Saskatoon Catholic Schools. He has also served as a board member on the Good Food Junction and the Speakerbox Aboriginal Advisory Group, as an advisory committee member for the Saskatoon Community Foundation and the Saskatoon Urban Aboriginal Strategy. In 2017, CBC awarded Mr. Kewistep as one of its “Future 40 under 40” for his work in leading change within the health care system. 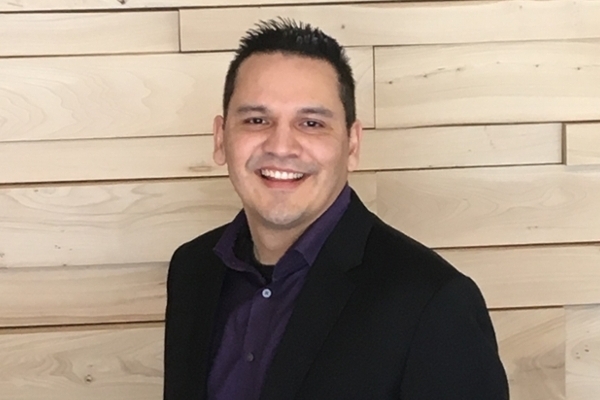 One of the first Indigenous graduates from the Johnson Shoyama Graduate School, Mr. Kewistep holds a Master of Public Administration degree and has a bachelor’s degree in Indigenous Studies from First Nations University of Canada. In addition to his formal education, he counts his traditional training from elders as being as relevant in teaching him the role of a servant leader.